Nadia Toor from the School of Law was named the runner up in the Placement Student of the Year Awards. She tells us about her year. 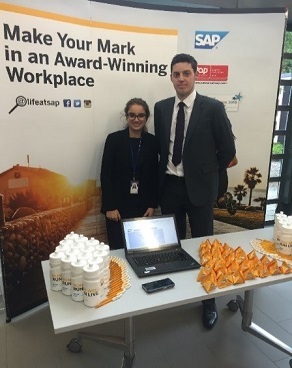 I undertook my placement year at SAP (UK) Limited. I started with the job role of UK Legal Associate and finished as the EMEA North and UK Legal Associate. The legal industry is incredibly competitive and if you want to qualify as a Solicitor you need to undertake a two-year Training Contract within a law firm, after completing your Legal Practice Course. This was the reason I wanted to undertake my placement year within a large company’s legal department rather than a law firm so I would get to experience working “in-house” as well as working in a law firm. Placement opportunities for legal students are very thin on the ground and are extremely competitive. At the time I was applying for placements, there were only around ten paid placement opportunities, therefore I applied for all of them. I also applied for positions within law firms that paid travel expenses only and did not have a set salary. The application process for most placements were very similar. All applications started with an online form that asked competency questions regarding my previous experience at dealing with certain issues. If I was successful after the online application, I was invited for a telephone or Skype interview. Following this I was invited to an assessment centre. My assessment centre at SAP involved an individual competency task and this was followed by a group task and the day finished with a panel interview. I felt genuinely over the moon when I received the phone call offering me a placement at SAP! The assessment day had affirmed for me that SAP was the company I really wanted to work for, so receiving an offer felt incredible and it took a huge weight off my shoulders. The feeling of securing a placement really makes the struggle of applying for them worthwhile! 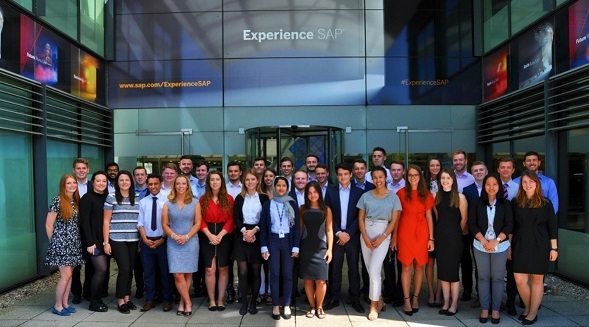 SAP hired interns into different areas of their business, so the first few days consisted of on-boarding presentations and administrative tasks, such as having photos taken for our ID badges. The on-boarding presentation gave us insight into the structure of SAP as a business; gave information on what the different business areas did and reassured us of who we should go to with different queries. This was especially useful for me, as working within the legal department meant that I came into contact with almost every business area, therefore knowing the details of what each business area specialised in made my life a lot easier when assessing the legal issues they needed help with. My job started off within the UK market unit. This meant that I was the legal intern for all of the Sales teams within the UK. I assisted with non-disclosure agreements; drafting procurement contracts; drafting statements of work and order forms; localising global legal templates, as well as a whole host of other ad hoc requests. Four months into my role I asked for more responsibility and in turn created the EMEA North and UK Legal Associate position. This meant that I did all abovementioned work for the legal teams within Belgium, the Netherlands, Luxembourg, Sweden and Finland. This was a completely new role and largely involved me working over Skype and the phone with lawyers from each of these market units. It was a lot of work to take on but meant I got an incredible amount of experience that I would not have previously been able to get. As well as my work within the legal department, I was awarded one of four positions within the Intern Project Team. I was responsible for the recruitment and hiring of new interns for the 2017/18 placement year. 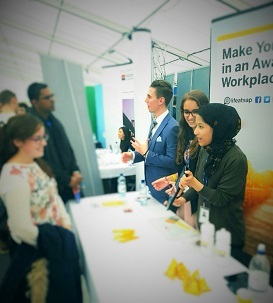 This was achieved through promotional events such as university careers fairs, other on-campus promotional activities and hosting events at the SAP Headquarters. As a team we reviewed all the applications, performed telephone interviews and ran 4-weeks of assessment centres. This was an incredible project to be a part of as it gave me insight into recruitment, which in turn helped me further down the line when applying for Training Contracts as I had first-hand experience of what recruiters are looking for. I have many highlights from my placement year, but I think my biggest one was fully taking over the non-disclosure agreement process for EMEA North. This meant that every sales team who wanted to start negotiations with a new customer would come to me and I would draft a non-disclosure agreement to put in place before their discussions could begin. This often involved calls with the customer’s legal teams to negotiate which clauses to put in place. I felt like this was a huge achievement for someone with half a law degree! My placement year taught me that I am better than I ever give myself credit for. Working life is completely different to academic life. For me, I work so hard on coursework and exam revision and always seem to achieve average results; it became demoralising and made me feel as if I was not as good as my peers who seemingly put in less work, but achieved higher results. Working life is the complete opposite. Putting in extra hours to complete a piece of work to a high standard is commended and you can see first-hand how important it is to be organised and stay focused. It gave me the confidence I needed to go forward and apply for training contracts and not let my average academic results deter me. Training contracts are more competitive than placements and you must apply two years in advance. I had a breadth of knowledge and experience to talk about in my application and in interviews, which no doubt stood me ahead of other individuals who had little work experience. After a full year of applications and interviews I was offered two Training Contracts from two different law firms. My advice to students who have not yet found a placement would be to not give up! If you cannot find a placement in your desired area, then there is no harm in looking further afield at different business areas or different types of work. A year of experience working in sales would still have looked better for me than no experience whatsoever. Undertaking a placement year shows future employers that you are organised, can work well within a team, know how to handle tricky situations and that you are committed to working. Therefore, keep that in mind and potentially look at alternative business areas, as any work experience is better than no work experience!